US politicians insist that Assad must go, but how? That was a US Democratic congressman's unequivocal response when asked whether Syrian President Bashar al-Assad can be a part of the country's political transition. "He shouldn't play any role, except to go and be tried for war crimes," Eliot Engel, chair of the Foreign Affairs Committee in the US House of Representatives, told Middle East Eye last week. Engel's unwavering stance that Assad must go remains the prevailing opinion in Washington - at least publicly - despite successive victories for the Syrian army and its allies on the battlefield and the United States' apparent inability to topple the government in Damascus. Last week, Engel joined his Republican counterpart on the House committee, Michael McCaul, to condemn human rights abuses committed by Damascus and commemorate the 8th anniversary of the Syrian uprising. Photos of starved bodies in Syrian prisons, bearing the marks of torture, hung in a Congressional hall across from the Capitol building last Thursday as the congressmen berated Assad and called for his departure. Engel also used the event to announce he planned to reintroduce the "No Assistance for Assad Act", which would ban US aid for reconstruction efforts in areas under Syrian government control. But eight years after Syrians rose up against their government, US policies on the ongoing conflict appear more muddled than ever - and a lack of clarity hangs over Washington's stance on the Syrian president's fate. If Assad must go, as US politicians insist, what's their plan to topple him? In March 2011, Syrians staged protests across the country that were met with a deadly crackdown from security forces. The once-peaceful demonstrations turned into an armed rebellion, resulting in a civil war that has claimed hundreds of thousands of lives and displaced millions. Eight years later, Assad's hold on the presidential palace appears secure after a string of victories for pro-government forces, who have repelled rebels from almost all of Syria's urban centres and the outskirts of Damascus. With only a few exceptions, both Republicans and Democrats in the US are still calling for the ouster of Assad, however. Even the administration of President Donald Trump, which has portrayed itself as being opposed to the interventionist policies promoted under Barack Obama and George W Bush, says Assad cannot remain Syria's leader. "It's very hard for us to envision a future of Syria in which Bashar al-Assad can play a responsible role," a US State Department official told reporters during a background briefing earlier this year. 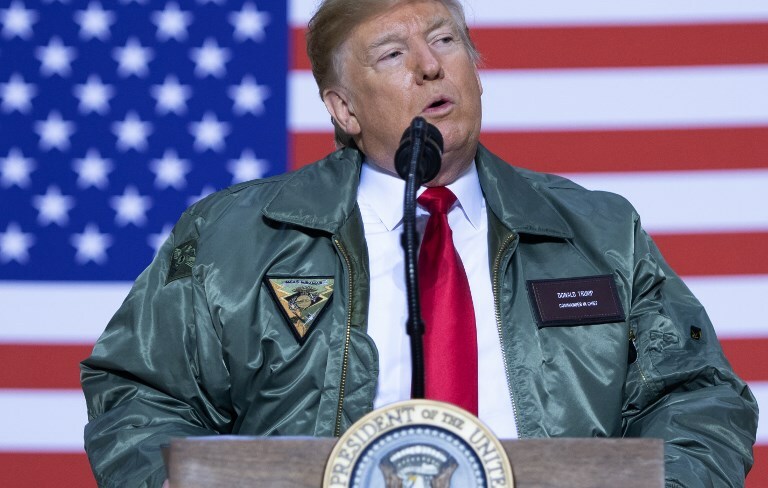 Still, Trump has announced that he is pulling US troops from Syria, a move that sparked the ire of lawmakers and led to the resignation of US Secretary of Defence James Mattis late last year. Now the White House is reportedly revising that decision. Washington will leave 1,000 soldiers, almost half of its current troop total in Syria, the Wall Street Journal reported on Sunday, citing US officials. The size of the force, however, is too small to change the realities of the war, analysts say. "Unfortunately, the American role [in Syria] has come and gone," said Imad Harb, director of research and analysis at Arab Center Washington DC. "The United States would have had a chance to influence things in Syria early on in the civil war, but now the United States is basically out of luck and has no more cards to really pressure anything." He said with Russian bases, Iranian forces and Tehran-backed militias on the ground in the war-torn country, US forces would not be able to tilt the balance of the war, even if Trump decides to keep all of them there. "The United States, with 1,000 or 5,000 troops, is not really going to do much," he said. Harb said the Trump administration has reconciled itself with the notion that a government victory is already a "fait accompli" in Syria. "I think they already believe that Assad is staying," he told MEE. But that policy will not be acknowledged publicly, he added, because accepting Assad would mean giving Russia the green light to lead reconstruction efforts. "The answer is still confused, and it's still confusing," Harb said of Trump's stance on Assad. "This administration is not going to be any clearer on it because it doesn't really have a force on the ground to be able to dictate certain things." Despite the US's apparent unwillingness - or inability - to play a direct role in the conflict right now, anti-Syrian government activists continue to call on Trump to act against Assad. "It's important to remember that Assad, and the Assad regime specifically, has not won," Mouaz Moustafa, executive director of the Washington-based Syrian Emergency Task Force, told MEE. The military victories of pro-government forces, he said, are the result of the intervention of Iranian-backed militias and the Russian air force. "These occupiers are the winners right now in Syria," Moustafa said. "So, it's important that we do all we can to give Syria back its independence from Iran, Russia and the puppet regime that they have there." Moustafa called on Washington to protect the millions of Syrians who still live outside government-run areas, including the northern province of Idlib, the last major rebel bastion that is mostly under the control of the al-Qaeda-linked Hayat Tahrir al-Sham (HTS). "If we do not do the right thing morally to save their lives ... then we will see way more refugees destabilising Europe. We will see way more extremists and the resurgence of ISIS, al-Qaeda and what have you, and we will not be able to see stability in the Middle East," he said, using an alternative acronym for the Islamic State (IS) group. A US-led "credible threat of force" against Assad would prevent abuses and serve as a catalyst for a political settlement, Moustafa said. That starts with scrapping plans to withdraw from the country, he added, saying the pullout would signal to Assad that he can have a military victory and diminish the prospects of a political settlement. "There is a direct relationship between the presence of American troops and the deterrence of mass atrocities and the conduciveness of forcing Assad to the table, so we can have a true political transition," Moustafa said. Engel appeared to agree with that assessment. The congressman spoke out against Trump's plans to pull US troops out of Syria, though the stated goal of American military presence in the country is to fight IS. Engel said the possible US withdrawal "would certainly involve Syrian people being put in a worse situation; it would involve retaliation, for sure, against the Kurds, who have been America's loyal and faithful allies". "We need to be there," he told MEE. "Not that we need to be there forever, but we cannot just give up and abandon the people. There have been enough killing already. As you know, half a million Syrians have been killed. It should have been stopped a long time ago."